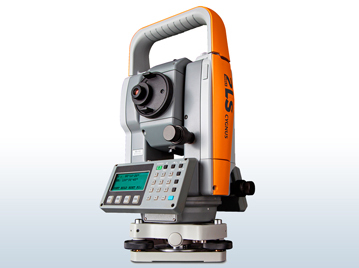 About 2LS™ 2LS products are high quality positioning tools that bridge the gap between “do-it-yourself” laser gadgets and industrial quality laser and surveying instruments used on large construction and civil engineering projects. Our tools are ideally suited for home builders, remodelers, concrete formers, mechanical contractors, drywall and ceiling installers – any one who needs reliable, accurate elevation and alignment control at an affordable price. Five Star Products We know that “economy” laser tools have been available for many years, but 2LS brings something the others can’t match — innovation, experience, and the strength of a global leader in positioning products. As a member of the Topcon group of brands, 2LS products incorporate many advanced features that are simply unavailable in other builder-type laser and optical products. For example, only 2LS has an economical digital automatic level that electronically displays the elevation reading for no chance of error. The Gemini lasers feature a high-visibility GreenBeam® model with remote control for maximum productivity on an interior job. Please spend a few minutes checking out our current products: Leo series line lasers; Taurus rotating laser system; Gemini series interior lasers; and the Orion automatic levels. 2LS. Align with the stars.